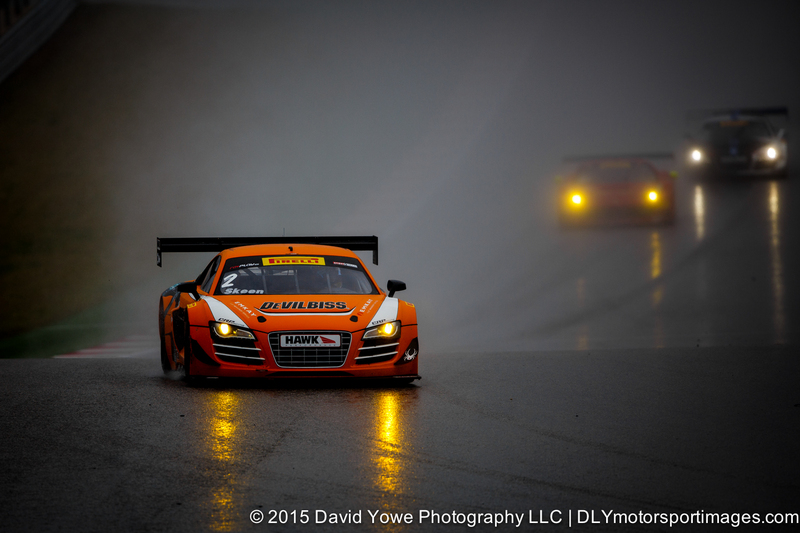 Round 2 of the GT class was held under rain conditions and dark skies in the early afternoon on Sunday. 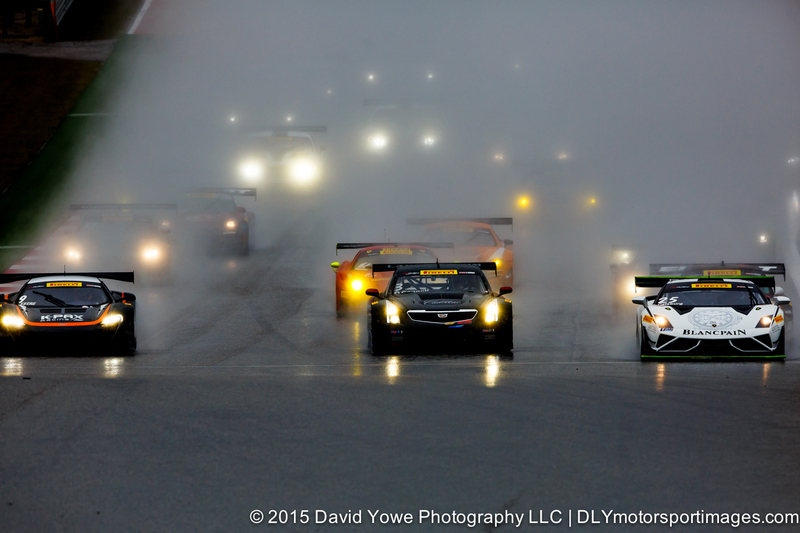 Was looking forward to seeing the field of about 50 cars speeding through the rain into Turn 1 and through the Esses. Hope you like the photos. 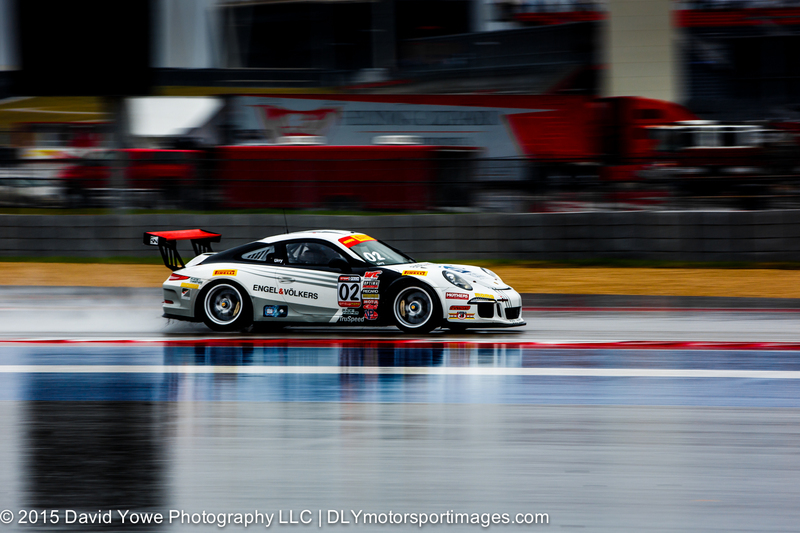 From a photographers perspective, I really enjoy shooting in the rain, since you have the opportunity to capture some dramatic moments with lights reflecting off the track, streams of water flowing from the rear of cars etc. 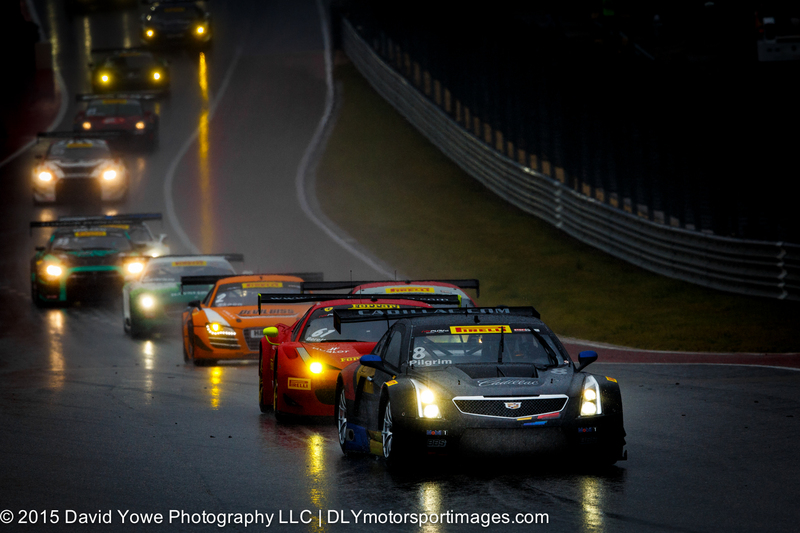 Here’s a “train of GT cars cutting through the darkness”, led by Andy Pilgrim in the #8 Cadillac Racing Cadillac ATS-VR GT3 from the pit exit. 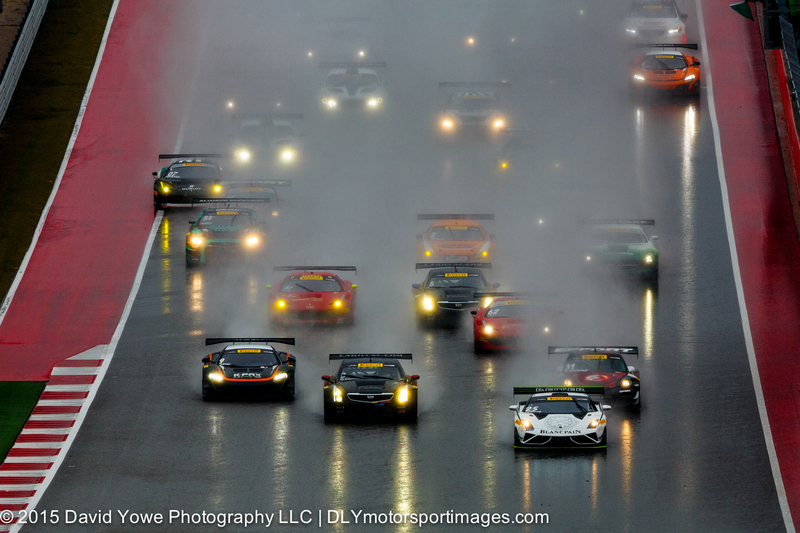 Green flag, and the race is on, with the field of about 50 cars speeding through the rain along the front straight. “Three cars wide” along the front straight. I think this shot gives you an idea on how hard it must be to get good visibility through the water mist if you are a trailing car, and the importance to being at the front for a good line of sight. 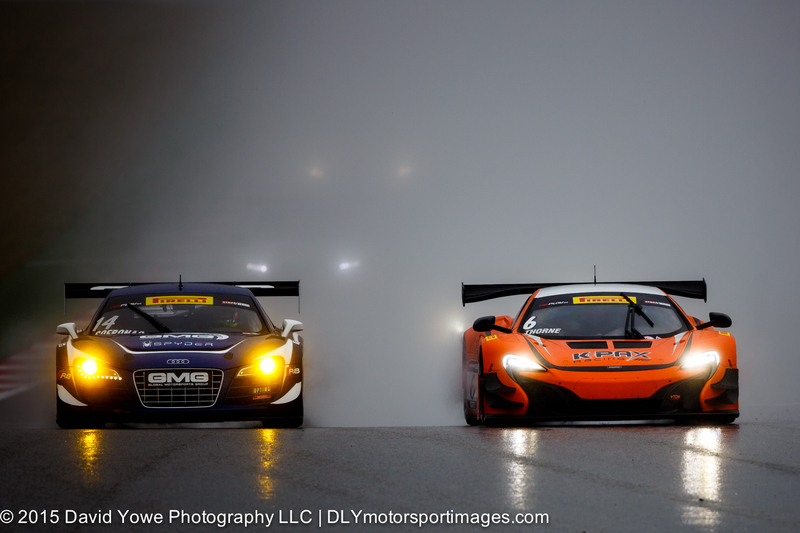 “Audi versus McClaren” with James Sofronas in the #14 Global Motorsports Group Audi R8 LMS Ultra and Robert Thorne in the #6 K-PAX Racing McLaren 650S GT3. 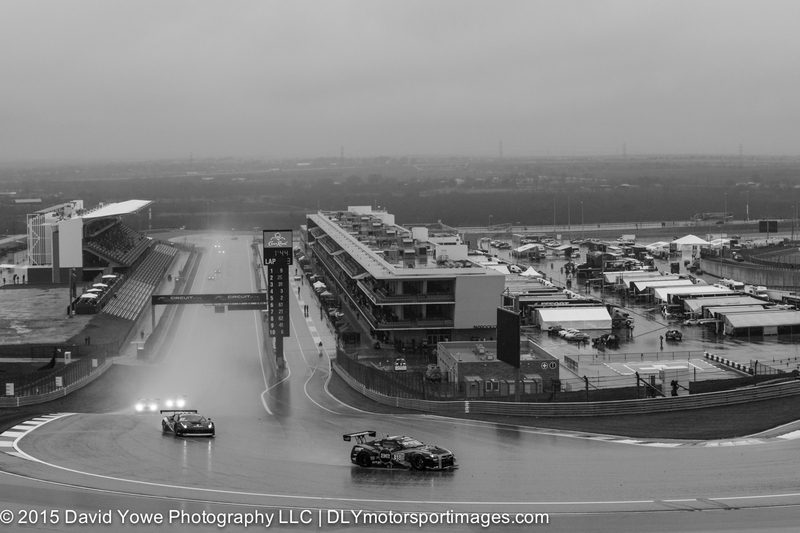 A wide shot of Turn 1, before heading down to the Esses. 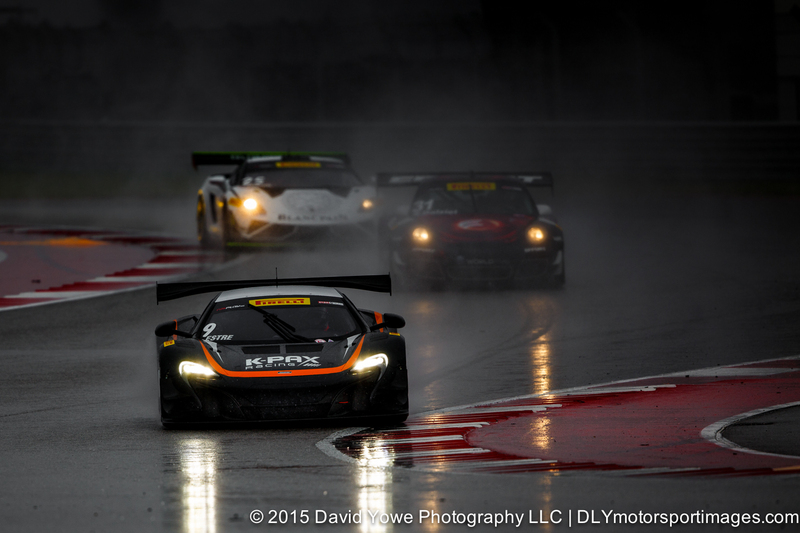 “Like lasers” the white headlights of the race winning #9 K-PAX Racing McLaren 650S GT3 driven by Kevin Estre cut through the darkness at the Turn 3 Esses. 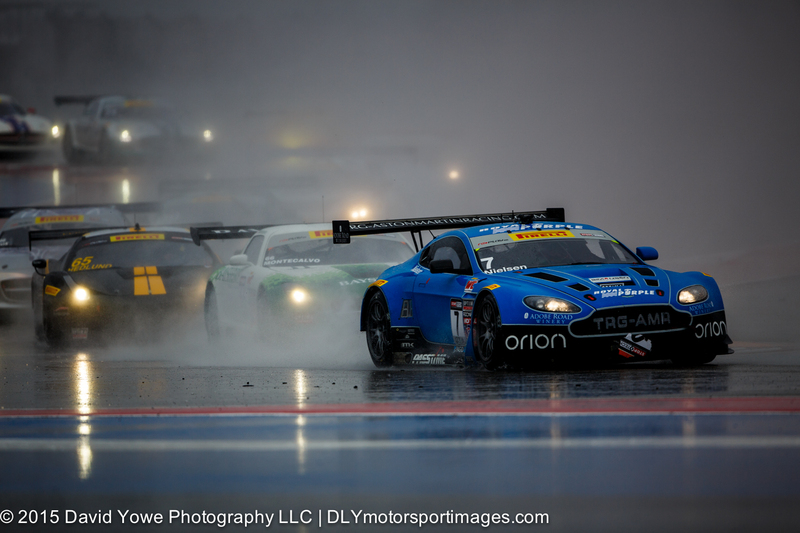 Second place went to Ryan Dalziel in the #31 EFFORT Racing Porsche 911 GT3 R.
Christina Nielsen in the #7 TRG-AMR Aston Martin Vantage GT3 leads a “train of GT cars” though the rain and darkness. 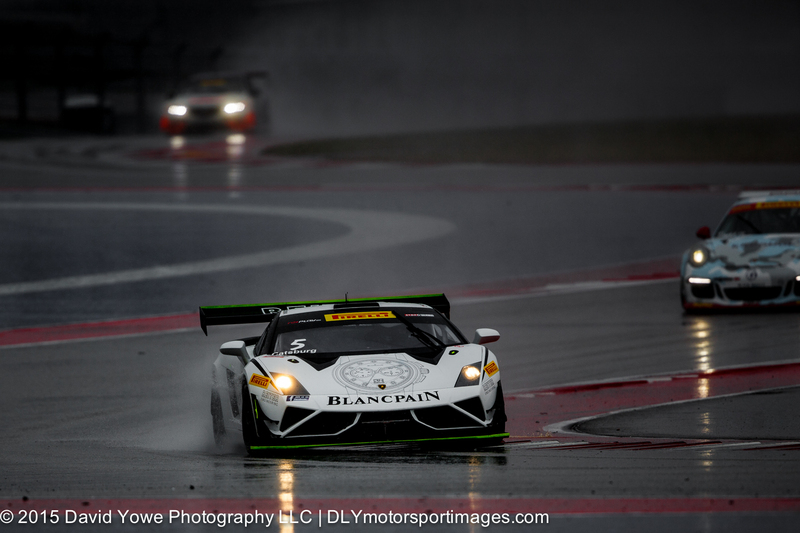 Third place went to Nick Catsburg in the #25 Reiter Engineering Lamborghini Gallardo. 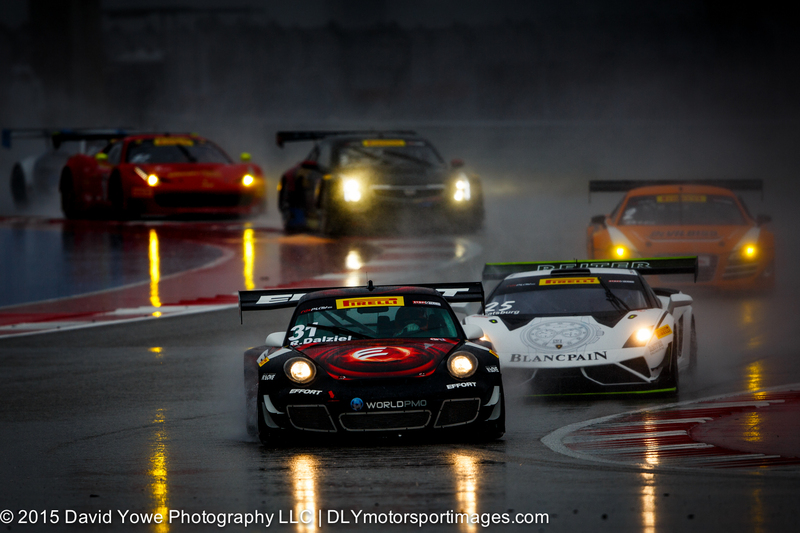 GT winners podium with Kevin Estre (first, center), Ryan Dalziel (second, left), and Nick Catsburg (third, right). GTA winners podium with Michael Lewis (first, center), Henrique Cisneros (second, left), and Christina Nielsen (third, right). 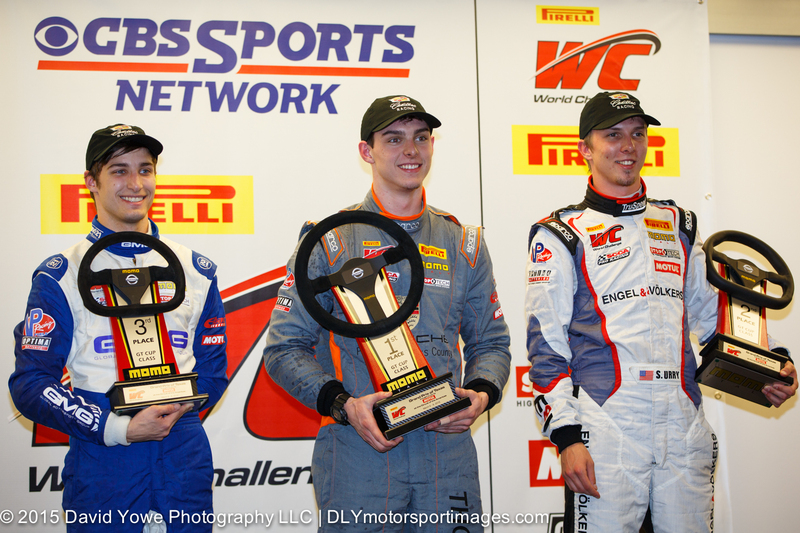 GTC winners podium with Colin Thompson (first, center), Sloan Urry (second, right), and Alec Udell (third, left).